KRAV MAGA is the martial art created for use on the street. The single way to stop an attack is to fight. Grandmaster Rhon Mizrachi is THE expert in Krav Maga in the U.S.
Krav Maga is the most effective martial art in existence for self defense. A street fight is not confined to a weight class, hands are not wrapped to protect fists, and there is no referee to decide when a fighter is too injured to continue. Training with Rhon Mizrachi’s Krav Maga Federation teaches students the skills needed to end an attack as quickly as possible. Part of training is learning that in a fight the victim must be able to turn the tables quickly. Once they are attacked they are no longer the victim, now the victim becomes the aggressor. Students of Krav Maga learn a multitude of self defense techniques and strikes, including defenses against sticks, knives, guns and multiple attackers. Realistic training is emphasized, and sparring is an important part of the curriculum. Krav Maga defenses are based upon actual human reflexes – the body’s natural responses. 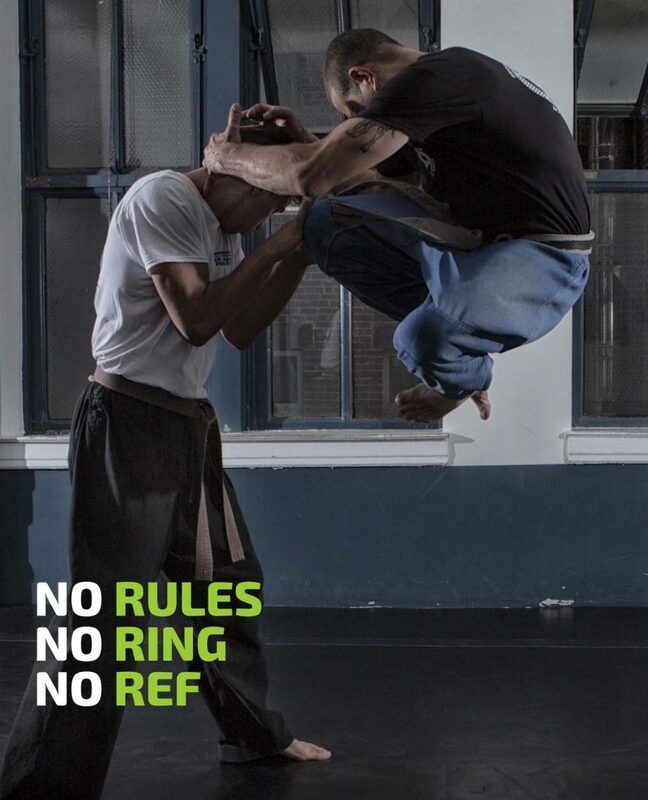 Unlike other martial arts or combat sports – Jiu Jitsu, MMA, Muay Thai, Tae Kwon Do for example – there are no rules in Krav Maga; therefore the art is not a competitive sport, we cannot compete as Krav Maga practitioners. The art is only for self defense. Krav Maga is a modern and innovative style that was developed in response to experiences gained both in the street and in combat situations. The material in the art of Krav Maga, beyond initial military applications (which are taught to advanced students) is based on one premise; you can only rely on yourself if attacked. Civilians are unable to call for re-enforcements or depend on fellow soldiers for support. Krav Maga founder Imi Lichtenfeld implemented the belted system (White through 5 Dans of Black Belt) in order to indicate rank in the art of Krav Maga. Testing for rank allows instructors to determine a students knowledge of and ability in Krav Maga. Because advanced material and sparring become more intense and aggressive, testing also ensures that students have the skills required to move forward safely. Learning the art of Krav Maga requires dedication and hard work. Training requires both physical and mental concentration. Krav Maga Federation students are committed and dedicated to their training, instructors and fellow students. “What is the difference between Rhon Mizrachi’s Federation and other schools?“ The answer is simple. Rhon. There are only a handful of people in the world who have a background similar to his and none of them teach in the U.S.
Rhon began his training at the age of 7 under the founder of Krav Maga Imi Lichtenfeld and Haim Zut, and has continued training and teaching since then with over 40 years of experience. He is not a figurehead of the Federation – he teaches 5 days a week at his NYC school as well as travelling to teach seminars and training students in one on one sessions. Based on Rhon’s level of skill and knowledge as a practitioner, teacher and fighter, a standard of excellence exists throughout the Federation. As the only expert teaching in the U.S., Rhon transmits his knowledge of Krav Maga through his own teaching and the teaching of his instructors. Grandmaster Rhon’s expertise is so complete that when necessary he can adapt the art to counter contemporary threats. Rhon cultivates the very best instructors, guaranteeing that students are taught the art of Krav Maga at the highest level. All full instructors of Rhon’s organization have trained under him for at least 5 years; the only way to learn the proper art is to train with instructors who have an extensive background in it. Students are tested and scored by a Federation instructor other than their own; not only are the students being tested, but their instructors are as well. This ensures that the quality of the art remains consistent throughout KMF schools. Rhon’s experiences and practices set the Krav Maga Federation apart from all other organizations. There are those who dilute and weaken martial arts as well as unqualified practitioners who destroy the reputation of the style for financial gain and recognition. Any instructor who has no teacher and therefore no proper training is not a teacher of Krav Maga. What can one learn from an instructor who has no background in the art? Instructors who teach the art without having any training or teacher or who have completed a 3 day “instructor certification course” are shameful, as is a 20 year old who is called a Krav Maga master. Having a fitness background is not the same as having trained in Krav Maga; cardio exercises in no way prepare people for self defense. Relying on a military background is not the same as having trained in the civilian art. Teaching because one is an active soldier or has had military training is not the same as having knowledge of the art of Krav Maga. Serving in the IDF is a cause for pride; misrepresenting one’s background in the military in order to make money is disrespectful to every soldier of any military and law enforcement unit, anywhere. The disrespect that this shows to the founder, Rhon and the others who have dedicated their lives to Krav Maga is not what Rhon cares about. The military style of Krav Maga teaches necessary military concepts and techniques. The civilian art of Krav Maga teaches civilian concepts and techniques. There are shared concepts and techniques between these two branches of Krav Maga, but military applications of Krav Maga and the civilian art are not the same – they each have a specific focus. The Israel Defense Forces (IDF) have protected the State of Israel since inception in 1948. It is comprised of ground forces, air force and navy. The IDF was specifically designed to match Israel’s unique security situation; it is one of the most experienced militaries in the world. Soldiers of the IDF are trained to protect the civilian population. Krav Maga for civilian use teaches civilians how to protect themselves in scenarios where they are likely unarmed and have no one to rely on but themselves. 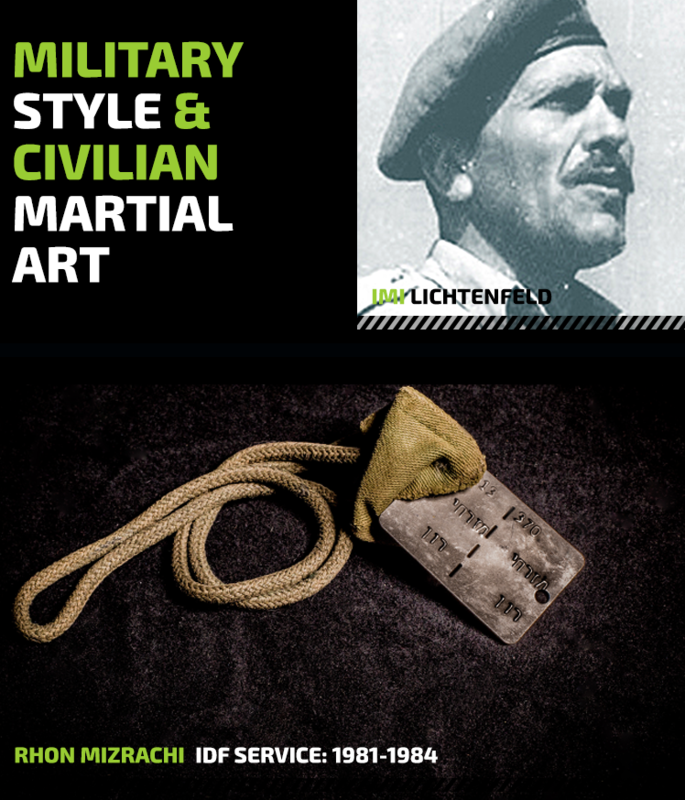 The military trains in the combat style that was created by Imi Lichtenfeld, civilians train in the martial art that he created. These have very different purposes. The techniques employed, while there are shared defenses and concepts, such as knife and gun defenses, include vastly different material. The use of Krav Maga in the military is part of a much larger military effort. Military applications include being trained to use weapons with and without lethal force, sentry take-downs, restraining an attacker, protection of a weapon, and ending the assault as quickly as possible in any way (a shared concept with the civilian art). Ending an attack in the military includes drawing and using a weapon. Soldiers must protect not only themselves but the civilians being attacked; their focus is on defending others. While all IDF soldiers are taught basic Krav Maga, only specialized units train in more detailed techniques. What is vital for soldiers is not vital for civilians. There are two distinct branches of Krav Maga. Krav Maga founder Imi Lichtenfeld originally developed methods of self-defense and hand-to-hand combat for the IDF. Later he expanded the military style and developed Krav Maga for civilian use. The art that he created became a detailed and complete martial art. Imi’s alteration to the art divided Krav Maga ; one for military and one for civilian use. Imi chose to utilize the traditional belted/ranking system; testing in rank allows instructors to monitor a student’s knowledge of material (White thru 5 Dans of Black Belt). Attaining higher ranks means that students have shown proficiency in the fundamentals and are prepared to learn more detailed and complicated techniques. What is learned at the white belt level is the foundation for the entire art. Specifically, this is when proper strikes are taught and the understanding of intent and the aggression required in order to be able to fight. Rhon believes that this is the most important part of the art. Rhon Mizrachi and every instructor of his Krav Maga Federation teach the art of Krav Maga that was created by founder Imi Lichtenfeld. “The concepts of the art are based upon simplicity of movement and conservation of energy. The system of Krav Maga is without compromise, and it is efficient. It does not have rules or codes of sportsmanship, because abiding by rules in a real situation is limiting to the practitioner. The practitioner must learn to target the most vulnerable parts of his opponent in order to neutralize him the quickest way possible and prevent him from doing damage. In 1948, the United Nations voted to grant statehood to Israel, and to partition the entire region of the British Mandate for Palestine into two states, one Jewish and one Arab. This decision was the motivating force behind the 1948 Arab-Israeli War, a series of armed conflicts between the newly formed nation of Israel and its Arab neighbors, who rejected the UN proposition. Ultimately, the region was divided among Israel, Egypt, and Transjordan (modern-day Jordan). The first Israeli Prime Minister, David Ben Gurion, disbanded the paramilitary units in favor of a more cohesive military unit, the Israeli Defense Forces, or IDF. Imi Lichtenfeld joined the newly founded Israeli army in 1948, commencing a 15 year period of military service with the IDF. As the head instructor of hand to hand combat for the IDF, Imi was able to sift through his own knowledge and experience, as well as the knowledge and experience of his trainees, to teach the most efficient methods of defense and offense possible. This new fighting style was termed Krav Maga, or contact combat. 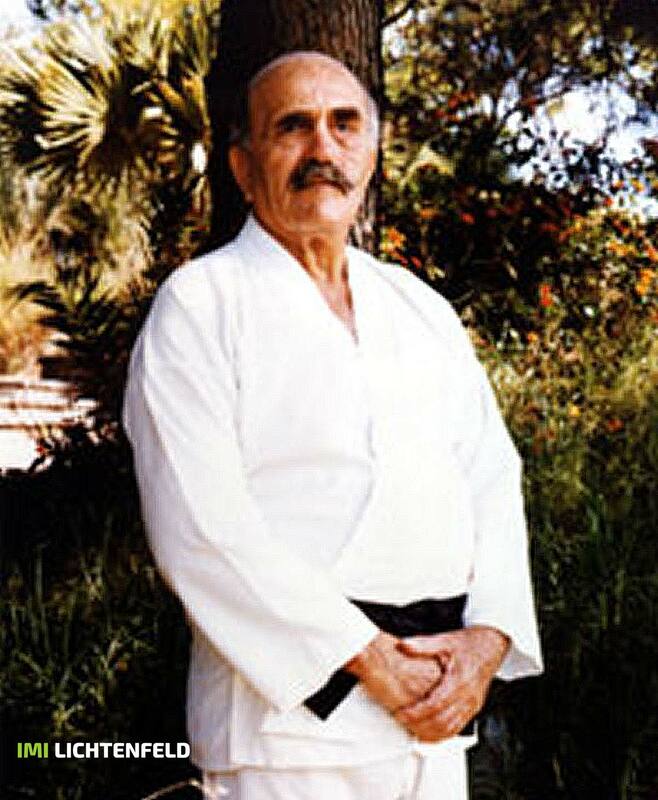 From 1948 through 1963, Imi developed and refined his own methods of self defense and hand-to-hand combat while training Israel soldiers in those same techniques. During that period, he personally qualified the best fighters of the most elite units of the IDF. In 1963, when Imi retired from his military service, he continued to modify the style with the goal that it could be used by civilians. He created techniques that did not rely on what the military units can rely on. Civilians do not function in a unit, there are no fellow soldiers for support. In order to promote this method, he opened two centers, one in Tel Aviv and one in Netanya. From then on, Imi’s life would be dedicated to training future generations of students and to the expansion and refinement of the style. It was during this time that Imi, like many Eastern European Jewish émigrés to Israel, adopted the Hebrew version of his name, becoming Imi Sde’Or, the direct translation of Lichtenfeld (field of light). In 1972, the first civilian course for Krav Maga was offered at the School for Trainers at the Wingate Institute for Physical Education and Sports. Wingate is a world-renowned training center for Israeli national and Olympic athletes that falls under the auspices of the Israeli Ministry of Sport and Education. It remains the ultimate authority for martial arts in Israel. In addition to its role as the official style of the Israel Defense Force, the Israeli Security Forces, the Israeli Police department, Military Police and the Anti-Terrorism Forces, Krav Maga would rapidly become an integral part of elementary and high school education for Israeli youth. It became a national form of self defense meant to empower all Israelis in sometimes volatile and dangerous surroundings. In 1978, the Federation for Krav Maga and Self Defense – Imi’s Method, was created. The purpose of this organization was to establish a body that would promote the purity of Krav Maga, while allowing it to develop as the national defense method. The goal was to create an organization that would be non-partisan, non-political, and independent of other sports organizations: the single highest authority for Krav Maga. The founders of the federation were: Imi Sde’Or (President), Barak Yehoshua (Head of the Professional Committee), Tsvi Morik (Secretary), Haim Zut, Eli Avigzar, Rafi Algrisi, Haim Gidon, and Oskar Klein. In 1980 the name of the Federation was changed to the Israeli Krav Maga Association. In the early years there were few power struggles. Disagreements among the founders were minor, and were settled as the differences of a family would be. Imi had veto power and was a dominant, highly respected figure. With the proliferation of the style and the emergence of the second generation of members, however, came larger internal disputes and disagreements. The main subjects of contention were the management of the organization, differences in opinion over the efficacy of techniques, struggles over individual stature. These internal conflicts became the impetus for the creation of a number of splinter organizations teaching Krav Maga with and without quality control. 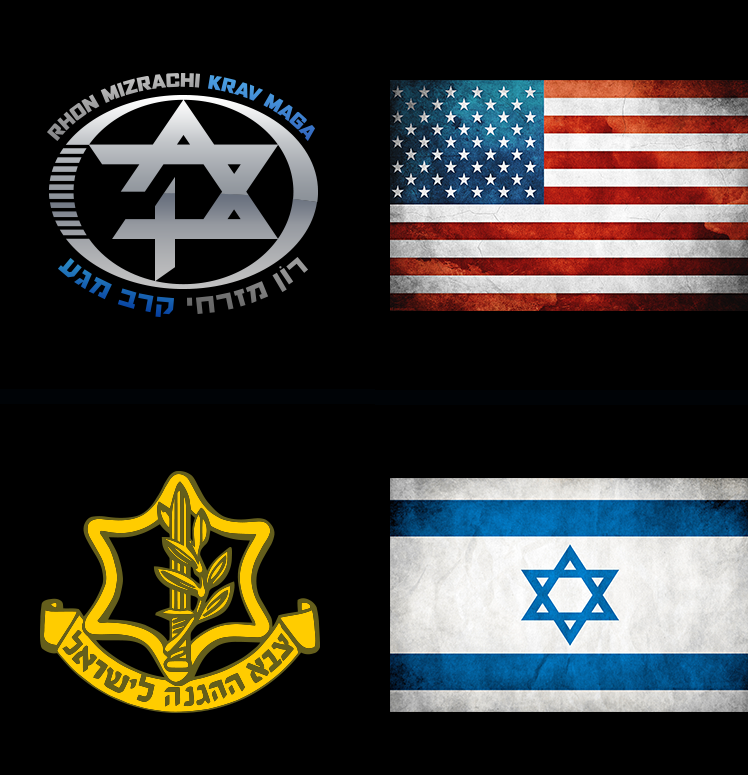 Many of the initial members left the Israeli Krav Maga Association to create their own organizations. An unfortunate fact in the martial arts community is that once a style becomes popular there are people who take short cuts; to attaining rank, to teaching and to opening schools. All of this is driven by the desire to make money. Selling out of course means the destruction of a style. In the 1980s, in a disappointing turn of events, a watered down version of Krav Maga began to be taught in the United States which gave a false impression of the art. Unfortunately, this is the way most people became aware of Krav Maga. Many people saw dollar signs without taking into consideration proper training, respect, honesty or decency. This introduction was not made by a martial artist, but rather a businessman. There are now many schools that teach what they call Krav Maga which neither the founder nor true practitioners of Krav Maga would recognize. Few organizations teach the true art, and there are many low level practitioners teaching without the depth of knowledge needed to do so effectively. Rhon Mizrachi’s Federation protects the pure art of Krav Maga by producing highly skilled Krav Maga practitioners and well rounded martial artists. The concept of Krav Maga was formed in the streets of Eastern Europe and developed in the struggle for the creation of the nation of Israel. The style’s creator, Imrich “Imi” Lichtenfeld, was born in 1910 in Hungary and raised in the Slovakian capital of Bratislava. Imi’s father, Samuel Lichtenfeld, was a former circus performer and a chief detective who owned the first modern gym in Bratislava, where he was active in wrestling, boxing, and weight lifting. Samuel had been an excellent wrestler in his day, and he encouraged Imi to participate in an assortment of athletic activities, including gymnastics, wrestling, and boxing. As a young man, Imi won numerous championships in a variety of sporting events, achieving exceptional accomplishment in boxing and wrestling. Between the years of 1929 and 1939, Imi was one of Europe’s most successful wrestlers. During the late 1930s Jews were trying to stay alive as fascism swept across Europe. In 1936, months after Germany adopted the infamous Nuremburg Laws (which declared Jews to be inferior and not entitled to the protections afforded non-Jewish, German citizens), attacks against Jews began to be commonplace in the streets of many Eastern European cities. Imi and other young Jewish men engaged in numerous altercations with anti-Semites in the Bratislavan population in an attempt to protect the Jewish community from individual attacks and to prevent pogroms in the Jewish Quarter. By the 1940s, Jews across Europe were lining up by the thousands in a final attempt to flee Nazi persecution. Few were able to obtain the appropriate documentation and authorization to do so. In April 1940 Imi left Bratislava, embarking on a journey that would almost take his life. He was able to book passage on a ship, the Pentcho, which was one of the final ships to leave Europe carrying Jewish passengers. The ship had a stated destination of Paraguay and its passengers had Paraguayan visas, but it was actually headed for Israel and ha’pala or aliyah bet (illegal entry into British Palestine). The Pentcho was an ancient riverboat, barely capable of staying afloat. During the voyage, Romanian authorities denied it entry into local waters. Despite the refusal and the Pentcho’s lack of fuel, the ship was able to enter Romanian and Bulgarian waters, while being shot at to prevent the ship from mooring. Amazingly, the Pentcho was able to make it into the Aegean Sea before a boiler on the boat exploded, destroying the ship and shipwrecking the passengers and crew on an island in the Dodecanese chain. The voyage that had been slated to take one month turned into a tragic journey for many of the Pentcho’s 500 passengers. The majority of the people on board were eventually interned at the Italian concentration camp Ferramonti. When the Pentcho was shipwrecked, Imi and 4 others began a voyage in a row boat in the Aegean Sea, ultimately being picked up by a British ship whose destination was Alexandria, Egypt. There, Imi spent weeks in the hospital healing from his severe ear infection. Once recovered, he joined the Czech Legion (which was subordinate to the British military in the region). Imi travelled through Egypt, Libya, and Syria, seeing combat primarily in Libya against German soldiers. When he was discharged, he received permission to enter what was then known as the British Mandate for Palestine: modern-day Israel. Imi reached Israel in 1942. Under the British mandate, Jews were restricted from carrying weapons and were generally left unprotected from attacks. Because of this they relied on the Haganah (The Defense) , Pal’mach (a British-authorized special forces unit) and the Palyam (a unit specializing in seaborne and underwater operations) to provide security. Yitzhak Sadeh, the head of the Haganah, recruited Imi as an instructor because of his widely respected fighting skills. In 1944, Imi began to teach specialized physical fitness which included swimming, wrestling and weapons defenses against knives, sticks and guns. Between 1942 and 1948, Imi supervised the training of the special units of the Haganah, Pal’mach, Palyam, and of the police forces. This training was called Kapap – an acronym for Krav Panim L’panim: face-to-face combat. Ultimately, the fighting style would be renamed Krav Maga. At Imi’s passing on January 8 1998, Grandmaster Imi Lichtenfeld was recognized as a hero of the Israeli people.